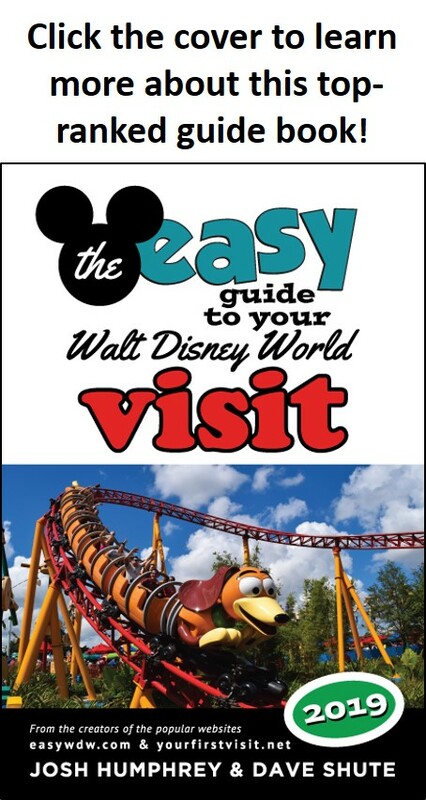 When the Expedition Everest attraction opened officially at Disney’s Animal Kingdom in June 2006, the Yeti it included was the largest and most complex audio-animatronics figure ever built by Walt Disney Imagineering. Unfortunately by 2008, the Yeti figure’s framing split and because the forty-six foot tall platform it is on was sealed within the mountain superstructure, it would be expensive and time consuming to access and repair it. However, with a big Walt Disney World anniversary celebration coming up and with the success of Pandora drawing huge crowds to Disney’s Animal Kingdom, rumors have once again started that the attraction could be closed for a few months for a rehab and to finally fix the creature. 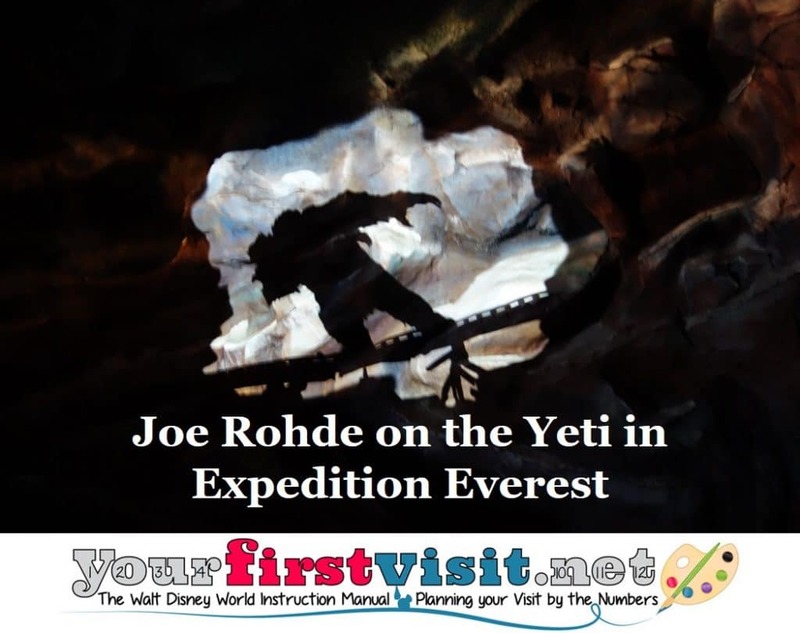 On April 3, 2006, while working at Walt Disney World, I was able to attend a presentation with Imagineer Joe Rohde where he talked about the new attraction and, in particular, the Yeti. Here is a short excerpt from that presentation transcribed by Wayne Campbell from my copy. So, anyway, all of this building sets a certain tone—and that’s the mythic, mystical tone of the legend of the Yeti. The other place is The Yeti Museum. The Yeti Museum, basically, is another way of telling the story. “This is the Himalayas…they all have this legend of the Yeti…here’s what all that stuff looks like.” And then there’s the made-up stuff like the lost expedition. The Himalayas really are a place with real bio-diversity. So it’s a place where plausibly there could be a Yeti and just because there’s really an animal doesn’t always mean you see it. And, of course, then there’s the room where the proprietors of Himalayan Escapes—which I find to be a humorous name for a travel company where you end up escaping from the Yeti—basically disavow all that. Finally, on the ride, you see the Yeti, guardian of the mountain, as real as we could make him be, and it is sort of both a revelation that the Yeti is real—that’s kind of a reward for your going through all the material in the queue and it is kind of the end of your mythic adventure that’s returning you back to the world of humanity—and you’re back to humanity almost like it was a dream, right? Like it almost didn’t happen, just like a fairy tale. One of the animals that we looked at is this Szechuan golden snub-nosed monkey. They’re very, very rare. They stay in the snow all winter and they’ve adapted to this cold weather environment. And of course, they have big teeth and they’re creepy and their face is blue, which looks cold, and they’ve got hair all over and they’ve got this big mane. So we basically took this monkey—the idea of this monkey—and we make it bigger and bigger and bigger and bigger and we took some ape-like characteristics and we blended them together to get our Yeti. There’s too much evidence for some kind of real creature for there to be no real creature behind the legend of the Yeti. The Yeti used to live in the exact same area where the giant panda now lives today. And you know, the giant panda is a prehistoric animal, it just happens to be one that’s still alive. If the panda was extinct and people said they saw pandas, we’d be treating that like the Yeti. So the legend of the Yeti, in my opinion, is a fusion of these oral traditions because the people moved away from the place where it used to be demonstrably true. As you move away, it becomes more abstracted.